As evidence of the mounting competition among funds management platforms, Praemium ((PPS)) has lost ANZ Private to rival Netwealth ((NWL)). This was the company's largest separately managed account (SMA), a long-standing customer with more than $3bn in funds on the Praemium platform. 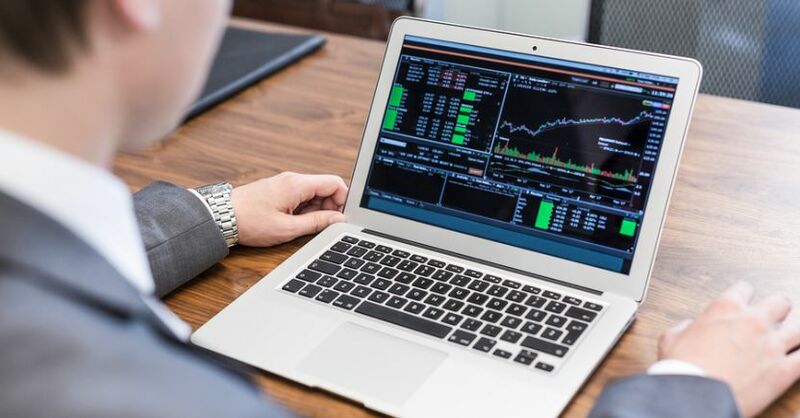 The main reason the business was switched to Netwealth was the ability for financial advisers to trade equities and other financial instruments directly. Direct access is not a feature currently provided by Praemium's SMA platform. What does this mean for the business going forward? The loss will decrease Australian platform revenues by up to -$4m from FY20 onwards. The timing of the withdrawal remains uncertain as it entails a change of responsible entity and each ANZ Private customer will need to authorise the movement of accounts. Wilsons had forecast both client wins and retention of ANZ Private and, hence, progressively incorporating -$4m of lost revenue lowers its FY20 and FY21 estimates for earnings per share by -11.3% and -10.5% respectively. The broker asserts the nature in which this contract was lost implies a level of risk for the future. Morgans points out the company's SMA technology is widely regarded as one of the best platforms available and expects the loss of revenue will be more than recouped by new customers. Overall revenue is still expected to increase from FY20, albeit at a slower rate. Baillieu was also disappointed and surprised by the loss of the contract. The broker had observed new business momentum improving significantly on the back of the expansion in products and services.The loss of the contract with ANZ Private may detract and act as significant headwind. Nevertheless, Baillieu retains a Buy rating with a target of $0.60 and expects earnings will grow over the forecast period. Praemium remains well capitalised, with no debt and cash of $11.3m on its balance sheet. Baillieu incorporates a 20% corporate appeal premium in valuation and price target, believing the business is potentially an acquisition target. Shaw and Partners finds the forecast operating earnings (EBITDA) growth rate of 16% and double-digit profit growth for each of the next three years attractive, as there is no debt and a fragmented, albeit highly competitive, industry. Morgans also understands that a fee reduction was sought, despite ANZ Private being on one of the lowest-priced deals, and this would have meant that other Praemium customers would have been cross subsidising. The proposition of a fee reduction is interesting, Wilsons asserts, as Netwealth does not seek to be the cheapest in the market. The broker prefers to pin the decision to move on the functionality difference referred to previously. Wilsons flagged this lack of functionality as a business risk over a year ago, as full feature platforms improved their managed account functions and reduced the competitive advantage that Praemium had. The broker still envisages a number of functionality gaps between the current product offering and that of a full feature platforms such as Netwealth or HUB24 ((HUB)). Wilsons retains a Hold rating and lowers the target to $0.48 from $0.59. Morgans points out the stock trades on high multiples of earnings and thus needs to maintain a high level of revenue growth to sustain the current share price. The broker maintains an Add rating, as the stock is trading at a discount to its valuation, lowering the target to $0.60 from $0.87. Shaw and Partners agrees that, in terms of earnings, it is not a good sign when a high PE (price/earnings ratio) company in a volatile global economy loses a major client and misses its first half earnings guidance. Still, the broker believes the new product currently being rolled out will allow the company to compete far more favourably against peers and will widen the addressable market by 12x. Shaw and Partners has extended its own contract for five years across 2500 client portfolios. The broker is a foundation client for the new Virtual Managed Account (VMA), which builds on the existing platform and allows a combination of SMA model portfolios with bespoke investments. Shaw and Partners also points out that Asgard Capital Management, the number one client for Praemium by revenue, has renewed for a further six years from November 2019. The broker retains a Buy rating with a $0.90 target. See also, Praemium Needs Higher Flows For Re-Rating on February 14, 2019.